Suitably qualified and experienced motor vehicle dealers are invited to stand for election as a director to represent their State. The closing date for nominations is 14 July 2018. Interested parties should confirm their desire to stand for election in writing (not email) to the AADA Returning Officer, Vinesh George at PO BOX 4236, Bexley North, Sydney, 2207, NSW. If no other candidate contests the election in the States listed then the proposed candidates (above) or any single nominee will be duly elected and serve a 2 year term. All candidates must comply with the AADA Code of Practice regarding Elections, which will be provided upon a candidate standing. 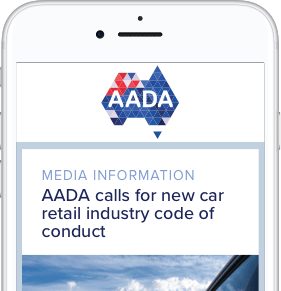 AADA Directors serve in an entirely voluntary capacity and donate their time and experience to give back to the industry. More details of the role and likely time required to fulfil the role can be provided by the AADA Returning Officer.